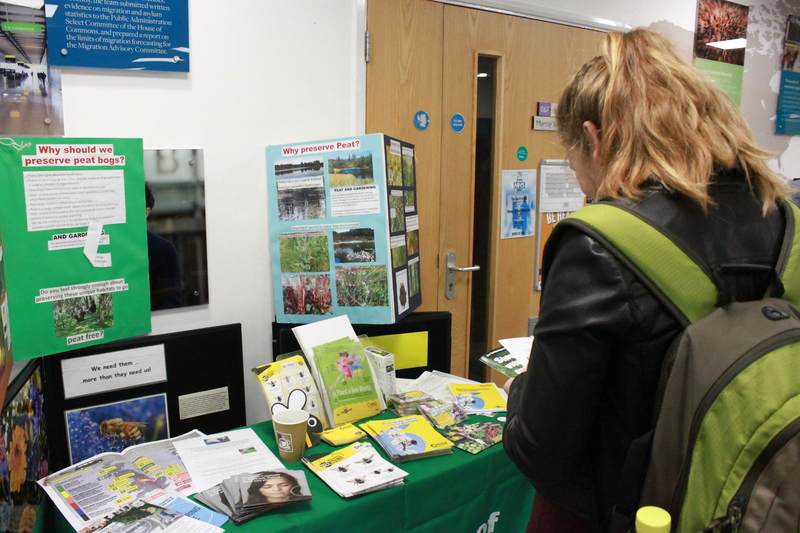 On 18th February, Southampton HUB hosted a conference on sustainable development, both local and international, at the Murray Building on Highfield Campus. The university society was founded in 2011. 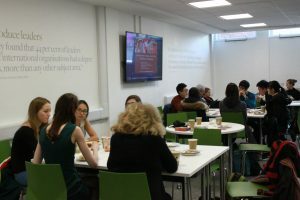 A group of students were so inspired by an International Development conference in Oxford that they decided to form a society to organise similar events and opportunities for ‘ethical’ groups and individuals in the Southampton area. 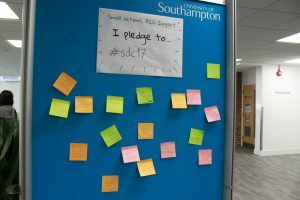 Last Saturday’s conference was the first joint International Development and Sustainability conference held by the society with its central theme being: ‘Small Actions, BIG Impact’. The first speaker was Vijay Mehta, Chair of Uniting for Peace, an international NGO established in 2011. Painting a frank, bleak picture of a world ‘living in an age of anger’, where 34 million children under 5 die from preventable causes every year, his essential argument was that world peace is the ‘basis of prosperity’. With the overall military budget of the world currently $1.83 trillion a year, Vijay Mehta is keen for this to be reduced and a fundamental principle established in all countries that the military budget is less than that for education, health and development combined. 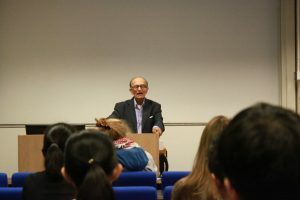 He cited the fact that 98 countries in the world have abolished the death penalty and 27 countries have no army as evidence that his vision is possible. ‘The fashion industry is a really good example of where small actions can make an impact because as the end-users of the products being made by garment workers in largely poorer countries, we have a huge amount of power and influence to make a change’. She also outlined actions that ordinary university students can easily take. Purchasing second-hand clothes, reusing and clothes swapping can slow down the exploitative ‘Fast Fashion Industry’, while questioning brands’ sourcing of products is ‘a really simple action that can have a really big impact’. One of Labour Behind the Label’s latest campaigns is a petition to free Bangladeshi activists arrested for campaigning for higher wages for garment workers. 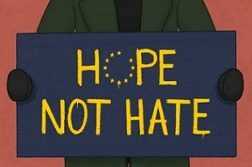 The next speakers I saw were Andrew Mason and Derek Chandler of Hampshire Equality Group, affiliated to the wider Equality Trust. They underlined the need for action against income inequality citing a statistic from a recent report by Oxfam that just 8 billionaires in the world now have as much wealth as the poorest half of humanity. During the afternoon session, I first attended talks in the Sustainability room from representatives of Transition Southampton and Sustrans. The former concentrates on local community initiatives like a monthly bike repair cafè to ‘create a healthy, fair and positive post-carbon society’ and the latter is a nationwide charity working to increase travel by bike, foot and public transport. Apparently Sustrans were instrumental in developing the National Cycle Network, mapping and developing 14,000 miles of safe cycle routes in the country, estimated to have saved the UK economy £8 billion since its creation. Regarding Southampton, Sustrans are also responsible for myjourneysouthampton.com which provides among other things, the latest info on public transport in the Southampton area. Returning to the International Development room, it was refreshing to hear Mikey Harper talk about Cameroon Catalyst, an international development charity founded and still run by Southampton University students. This charity focuses on construction projects in rural Cameroon and previous work has included constructing a school building, which significantly boosted education attendance in the local area. With half of rural Cameroon’s population lacking adequate sanitation, the charity’s latest project is to provide a sustainable safe water supply to 10 villages in Eastern Cameroon by 2019. Finally, long-time Amnesty International activist, Irene Halford, delivered an impassioned talk centred on tourism and human rights. Asking her afterwards about what makes an ethical tourist, she emphasized ‘someone who asks awkward questions, where things come from, and to be sensitive to the community’ leaving as minimal a footprint both carbon and social. Summarizing the key points of the conference, the fact is if one feels uncomfortable with the injustices, inequalities and environmental problems in the world, there’s no lack of organizations that one can become involved in and small actions really can make a difference.